“We regret to announce with a heavy heart that Billy has passed away today at home after a serious medical condition. Statement on the passing of Billy Paul. In a year filled with enough celebrity deaths to keep the obituary writers working overtime, we’re sorry to bring news that Billy Paul, the golden voice behind ‘Me & Mrs Jones’, has died at the age of 81. It is reported that although Paul had several public appearances booked, he was suffering from pancreatic cancer in his final months. Paul would go on to study at the West Philadelphia Music School and the Granoff School of Music, and gained a reputation for being a distinctive and versatile singer, appearing on concert bills alongside greats such as Nina Simone, Miles Davis, and Roberta Flack. It was around this time he changed his name to Billy Paul, and in 1952 he recorded his first singles. Yet his career was put on hold in 1957 when he was drafted into the US Army. Fortunately for Paul, he was stationed with a young man by the name of Elvis Presley, and got to know the soon-to-be world famous icon. Despite his talent, Elvis refused to be part of any Army musical venture, but Paul recruited Cedar Walton and Eddie Harris to form the Jazz Blues Symphony Band, and toured Germany when stationed there. Back state side Paul tried his hand at launching a solo career, performing jazz clubs to much regional fame. In 1968 he recorded Feelin’ Good at the Cadillac Club for the then-unknown Kenny Gamble. Their meeting would prove to be important to both men a few years later, when Gamble along with Leon Huff formed Philadelphia International Records and signed Paul to the fledgling label. They released Paul’s first PIR album in 1971 with Going East, but it would be the follow-up in 1972, 360° of Billy Paul, that made Paul a soul legend. The album, of course, featured the fabulous ‘Me & Mrs Jones’, a beautiful ballad that sees Paul confess his love for another, married woman. Pauls’ distinctive drawl gives the song poignancy and class; it may have been covered by a whole host of brilliant artists, but his version is still the best. It would see him win a Grammy Award, and propel him to the top of the R&B charts. Another song off the the album however gained Paul unwanted controversy. The song ‘Am I Black Enough For You’ was released as the follow-up to ‘Me & Mrs Jones’, a tough act to follow regardless, but the song’s powerful message alienated many and failed to reach the success of ‘Mrs Jones’. Yet, the song still resonates today, and is one of Paul’s best performances. Paul would go on to record some equally brilliant tunes at PIR, and gained further controversy along the way (more on that below). He left PIR in 1980 and recorded a couple of rare-to-get albums, but like so many soul artists of that generation, concentrated on touring to earn a living. Paul would tour right up until his death, and was due to take part in the ill-fated David Gest soul tour of the UK later this year. Billy Paul may not have been the household name that many at PIR became; people know ‘Me and Mrs Jones’, but sadly many don’t know who sang it first. But those who do, they know of Paul’s incredibly artistry, versatility and uniqueness. Paul possessed one of the most distinctive voices in soul, one that will never be replicated. Thankfully we are alive to enjoy his music today, tomorrow and beyond. In tribute to the life of Billy Paul we’ve picked out a few of our favourites to remember him by. In 1975 he released the epic baby-making song, the appropriately titled ‘Let’s Make A Baby’. Although just as forthcoming as what Marvin Gaye had released a year earlier, Paul became the target of Reverend Jesse Jackson and his Operation PUSH, who deemed the song to be obscene. Disc jockeys pulled the song, fearful of what Jackson could throw at them if they played the song. The rank hypocrisy of Jackson, who was friends with Richard Pryor, a comedian who’s every other word was usually one that began in ‘f’ and rhymed with ‘book’, was absurd. The song itself is sublime. It’s stunningly elegant, and if Jesse Jackson thought that was obscene, what must he think of the dire drivel produced today? This one is one delightfully mid-tempo corker from Paul’s back catalogue. It features that classic Philly Soul lush horn and string arrangement, combined with one brilliant vocal performance from Paul. Coming in at just over three minutes it packs a lot into a short period of time, but if you’re looking for more of this funky tune, check out the live version. Even Billy Paul wasn’t immune to the influence of disco. In 1979 he recorded ‘Bring the Family Back’, a superbly brilliant song that combined the Philly Soul sound with a disco beat and bass to create a dancefloor classic. As ever, Paul is in fine voice, and his distinctive phrasing suits the disco-influence. The groove is infectious, and the vocals are perfect for a singalong. This is one of our favourite Billy Paul jams. Originally a song by Paul McCartney for Wings, Paul covered the song in 1977 turning it into a civil rights song, honoring those who had led the fight for equality for African-Americans. Paul’s version featured shout-outs to people like JFK, Louis Armstrong and Martin Luther King, and featured snippets of speeches from King and Malcolm X. The song also features a brilliant groove, with another epic Philly Soul arrangement that’s just magnificent. Another message song from PIR, and another winner. Paul urges his listeners to “you gotta be strong, you gotta hold on, don’t give up!” The lyric is uplifting as is the sophisticated arrangement. It’s another song that proves that Paul was not merely just a balladeer, and that he was just as incredible singing uptempo numbers like this. It’s a classic message from PIR: black empowerment, black awareness and black survival. 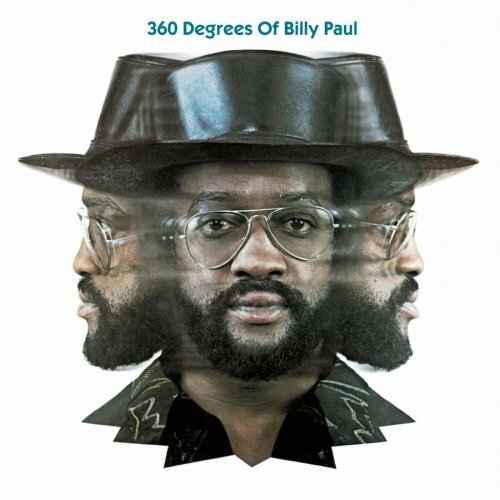 This cover of the Al Green classic also featured on the 360° of Billy Paul album, but Paul completely reworks the song, turning it from a mid-tempo ode to love to a sultry, stripped-back ballad. At first its pretty unrecognizable; its only until you get into the verse do you realize what song it is. Another stunning performance from Mr Paul. We couldn’t leave this one out of our favourite Billy Paul songs. Sure, it’s played a lot. Sure, everyone knows it. But it is still, after all these years and all these listens, one of the finest love songs ever recorded. The story, of a man who meets another man’s woman at the same café, making all kinds of plans, while the jukebox plays all kinds of songs, is beautiful. Paul delivers the song with his trademark distinctiveness, creating one of the most memorable vocals in soul music. The arrangement is stunning, as is Paul. He may be gone, but at least we have this song to remember him by. Job well done, Mr Paul.